Making antler toggles was probably the way the first woman made her deer skin clothing stay closed. As an ancient fastening technique, toggles are one of the simplest, and have been found on all continents as a common garment closure. To make antler toggles for your hand knitted sweater or other creation, locate some small antlers no bigger around than your index finger. Any larger antlers can be used to slice into buttons, but in most cases, the ends of the tines are the right size. I usually cut them with a coping saw or other hand saw, but if you’re making a lot of them, use a band saw with a fine blade. Very important! Always use a respirator or surgical mask when cutting antler as it can cause lung problems to breath in the dust. Also be aware that the smell is somewhat unpleasant, so make sure you work in a well ventilated area. 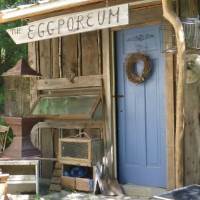 See the page on rustic craft safety for more. The pieces are the best size for antler toggles if they are around 5cm long. There needs to be enough room to drill two holes in for attaching them to the garment. Once the pieces are cut to the right length, use sandpaper to smooth off any ragged edges on the cut side, and drill two holes parallel to the edges which you’ll use to attach them. Wipe off any dust with a damp cloth. Place the toggles on your garment about 2-4cm (an inch or so) from the edge. Sew them in place an equal distance apart from each other. Make braided loops and sew those on the other side matching up with the toggles. Make sure there is enough room in the loop to thread the toggle through, and you’re done. 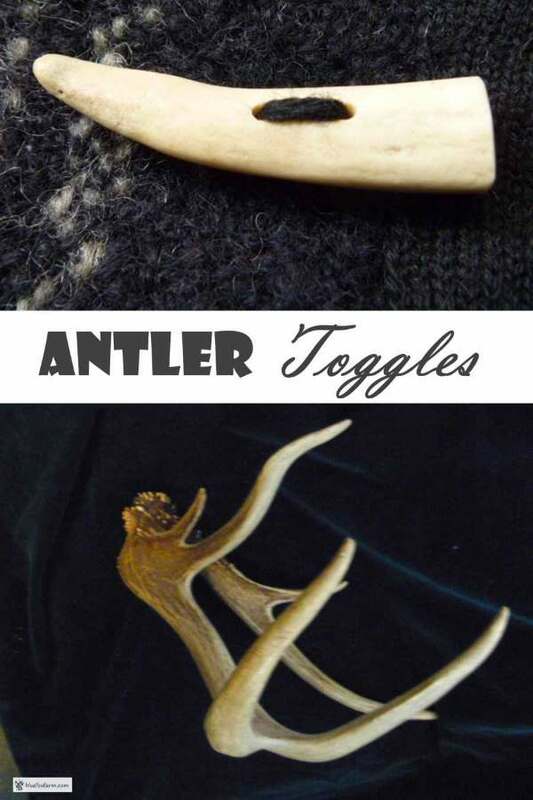 Your hand knitted sweater will now be perfectly finished with unique hand made antler toggles to match.